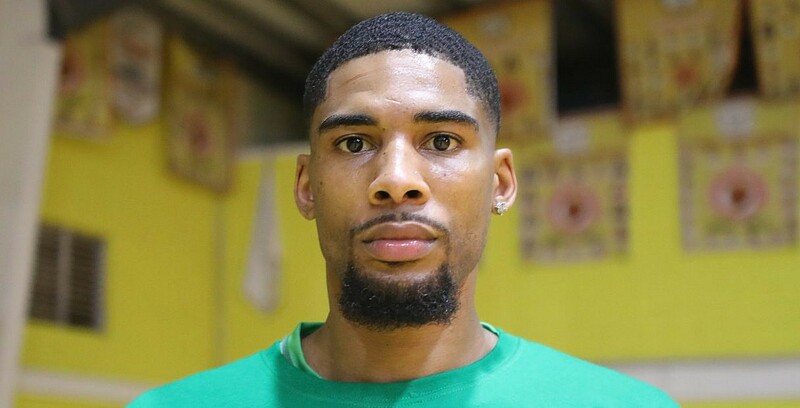 On Friday night Verdes hosted Belmopan Bandits at the Sacred Heart College auditorium in an attempt to clinch the #1 seed going into the playoffs. Verdes jumped out to an early 27 – 14 first quarter lead which they never relinquished, dominating the game and winning 112 – 57. Kris Frazier was the high man for Verdes with 27 points and 21 rebounds in only 21 minutes while rookie Kyron “Tut” Molina had the best game of his young NEBL career with 13 points and 4 steals. Jamal Harris and Richard Troyer netted 12 points each while Travis Lennan and Andew “Bynum” Ortiz finished with 11 and 10 points respectively and Davis Guzman grabbed 11 rebounds and scored 8 points. Belmopan Bandits was led by Kyle Pascascio with 12 points as he was the only player to crack double-digit scoring for his team. On Sunday afternoon Griga Dream Ballers hosted their last regular season game as Orange Walk Running Rebels travelled down south to the culture capital for the last game of their season as well. In a back and forth game that had no playoff implications for either team, Orange Walk Running Rebels was able to end their season on a strong note, leaving Griga with a 72 – 70 victory. Orange Walk Running Rebels was led by Isaiah Thomas who had the game high with 23 points while Earl “Bolo” Johnson and Roger Reneau finished with 13 and 12 points respectively. Delvon Henderson was the top scorer for Griga Dream Ballers with 15 points to go with 17 rebounds and 9 blocked shots, falling 1 block shot away from a triple double. Jamal Kelly also finished with 15 points while Quinton Bowen and Edgar Mitchell chipped in 10 points apiece. Mitchell also tallied a double double with 11 assists. Mirage/Smart Belize Hurricanes (6 – 5) – has clinched a playoff berth and can clinch the #3 seed if they win their last game versus Belize City Defenders and if San Pedro Tiger Sharks loses their last game versus Verdes. Below are the standings where teams are ranked based on the points they have accumulated so far. Below is the schedule for the remaining 2 regular season games. Both games will be live on TNC.